As a part of Microsoft’s efforts to streamline their services, later today you’ll be able to get a SkyDrive app on your XBox 360. 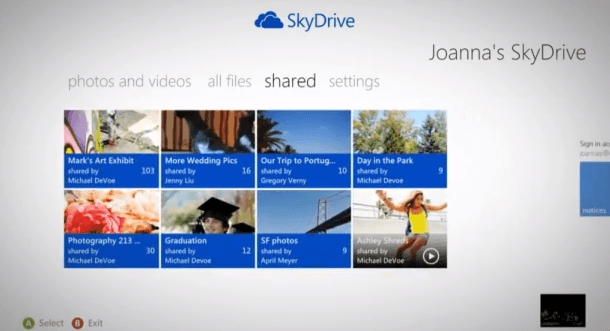 The SkyDrive app supports Kinect voice and gesture control as well as controller input, although voice activation is not currently available in every language. When the app goes live, just turn on your Xbox and choose SkyDrive, and that’s all there is to it.